Each stakeholder group plays an important role in establishing a community for long-term collaboration in the field of renewable energy. Joining our community of stakeholders is an important stepping stone towards long-term collaboration and effective innovation in the field of renewable energy. Energy issues have a substantial impact on the environment and therefore on the international community. This sector is gradually gaining policymakers’ attention, but more ambitious political commitment is necessary. The 2030 Agenda for Sustainable Development recognises with Goal 7 (SDG7) energy as a precondition for human and social promotion, as well as an instrument to fight poverty. Despite this global interest, access to clean and renewable energy is not yet available for all. Strong political commitment is essential to enable the energy transition. Regulatory frameworks should empower the actors involved and incentivise the development and deployment of sustainable energy technologies and attract private investors. Public authorities are essential to understand the current standing in the renewable energy sector and build on it in a collaborative and constructive manner. Policymakers shall therefore design the strategy ahead based on a clear set of common milestones to meet the identified objectives. Public authorities must support their commitment to renewable energy through adequate and sustainable funding. National and international actors should therefore join forces to advance research and innovation in the sector. Long-term and sustainable cross-border activities require coordination among a variety of actors and already existing initiatives in the sector. Identified goals must also be addressed in a coordinated manner both in Africa and Europe, from the local to the international level. The PRE-LEAP-RE project has received funding from the European Union’s Horizon 2020 Research and Innovation Program under Grant Agreement 815264. Have a question? Send them to us and we’d be sure to add the responses to the FAQs page! 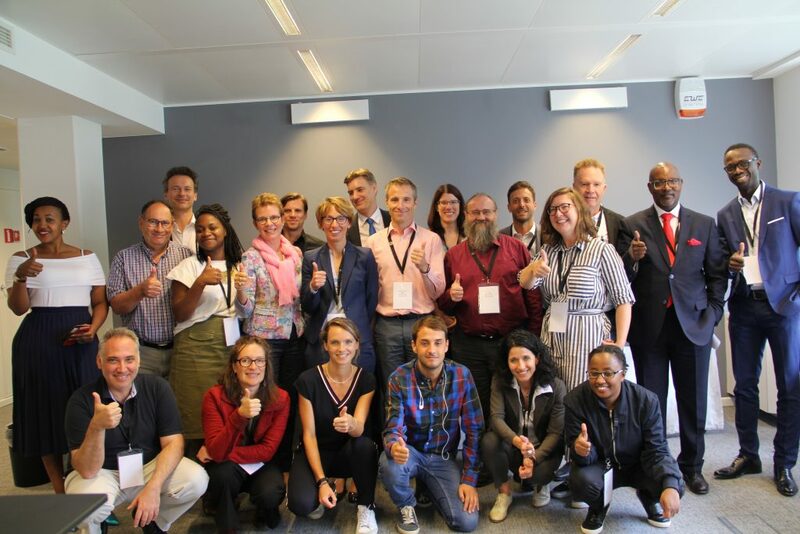 The PRE-LEAP-RE consortium gathers 17 African and European partners covering a wide range of sectors: education/research, private sector, policy and funding.